James Kudelka’s restless, wonderfully fertile choreographic imagination has never ceased to surprise audiences with the conceptually bold, stylistically varied and emotionally complex ballets it brings forth. The Man in Black is an especially vivid example of the choreographer’s ability to find fresh and challenging modes of expression. Set to six songs performed by the late country and western giant Johnny Cash – In My Life, Four Strong Winds, Sam Hall, If You Could Read My Mind, Hurt and Further On (Up The Road) – the work for one female and three male dancers is by turns haunting, funny, anguished and touching, an utterly arresting work by one of today’s finest dancemakers. The choreography re-configures several popular country and western dance styles and the fluid partnering and structural groupings that result generate a sequence of striking poetic images that merge seamlessly with the dark, plangent yearning of the songs. 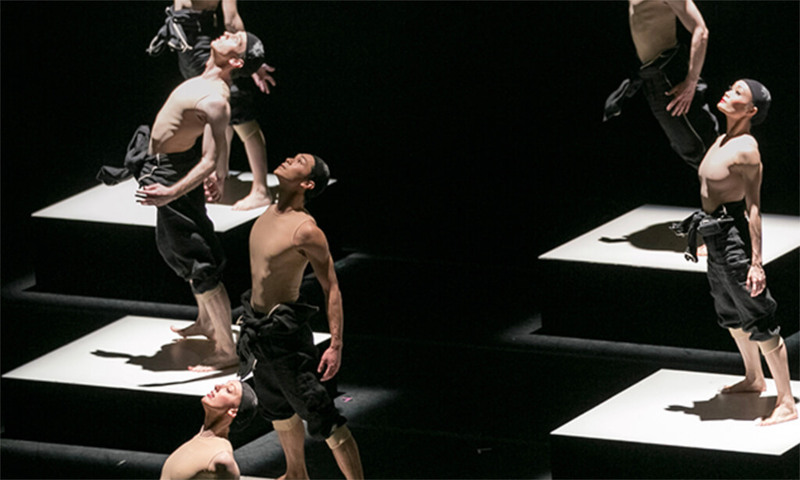 Swedish choreographer Alexander Ekman has earned a well-deserved international reputation for creating genre-breaking, unsettling ballets that question both the nature of dance and the meaning of performance. Cacti, which premiered with the National Ballet in 2016, is quintessential Ekman, a quick-paced, wickedly ironic and multiform work that satirizes the ponderousness and silliness of some contemporary dance and the often fatuous critical response to it.